Envisioning a world in which every voice is heard, no one is invisible, and everyone has the opportunity to connect to community. Council is a practice that brings people together in a circle, under the guidance of a facilitator, for a candid and heartfelt conversation. 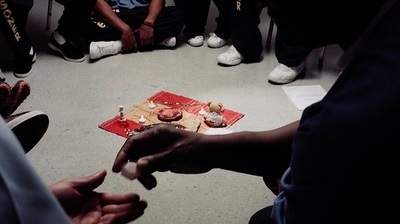 Within the circle, individuals are offered the opportunity to talk one-at-a-time, with the intent to speak from personal experience rather than opinion. By fostering attentive listening and authentic expression, Council values every voice, reinforces respectful communication, builds positive relationships between participants, and neutralizes hierarchical dynamics and conflict. It is a resource for increasing compassion and engagement and recognizing our essential human interconnectedness. Center for Council’s programs are structured in a “train-the-trainer” format. Participants learn skills to facilitate circles on their own, becoming on-the-ground advocates for dialogue, cooperation, compassion, and understanding within communities throughout California. Center for Council's programs train leaders to deliver customized, on-the-ground, community-building solutions where and when they’re needed most. We provide ongoing trainings for community-based organizations, within prisons, and for law enforcement agencies and first responders. We also provide customized trainings for organizations and institutions, including schools, businesses, and government agencies, to support increased communication and wellness. Our evidence-based programs are proven to reduce anger/aggression and hostility, enable participants to connect with others in new ways, create safe and supportive environments for self-expression without fear of judgment, and help with the development of effective communication skills and resilience. Whether offered as an intimate practice among friends and family, or implemented organizationally and systemically, Council offers a replicable, self-perpetuating platform that diffuses tension, fosters resilience, and creates a deeper sense of community and connection anywhere. 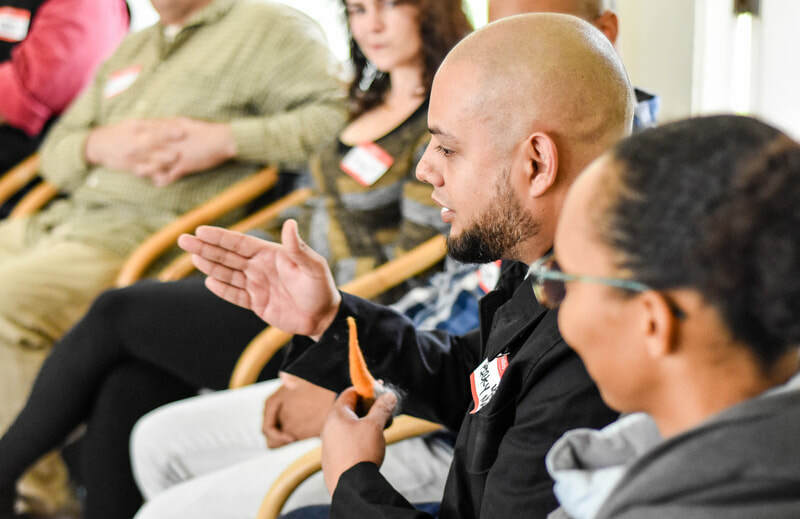 Through the Inmate Council Program, inmates both learn and teach Council-based convening, communication, and conflict-exploration skills that support healthy and pro-social perspectives, relationships and behaviors. Learn more about Inmate Council Program. 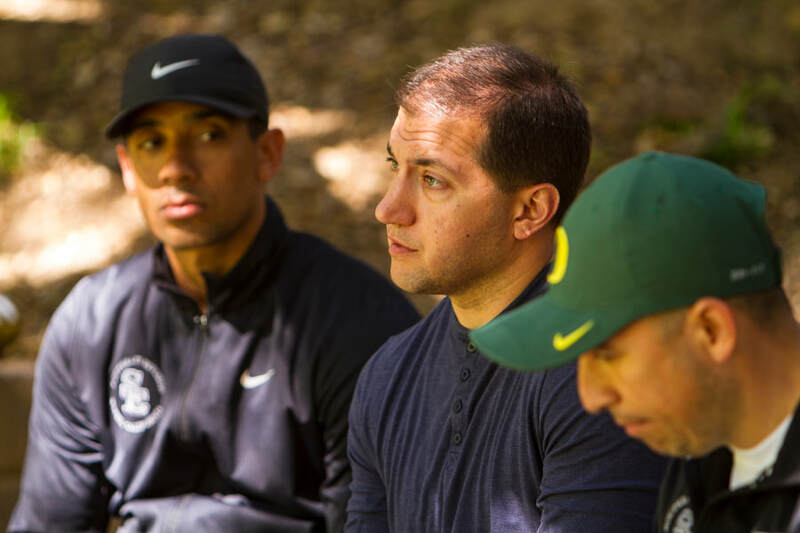 Center for Council’s Wellness & Resiliency Skills Training is a six-month program that combines the latest innovations in mindfulness training with Council practice to deliver a powerful and sustainable skills-based, peer-led program. Learn more about Wellness and Resiliency Skill Training for Law Enforcement. 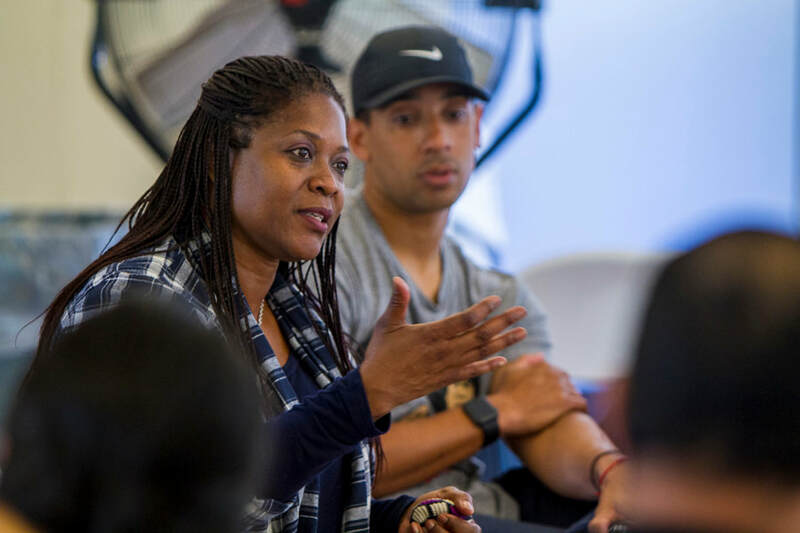 The Trainer Leadership Initiative provides Council training, mentorship and support for emerging leaders within local disenfranchised communities. Learn more about Trainer Leadership Initiative. 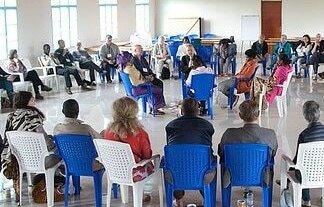 Center for Council serves as a resource to initiatives and convenings across the globe and, through training, mentoring and consultation, supports communities in bearing witness, finding common ground, repairing harm and building trust. Learn more about tailored Council-based offerings. 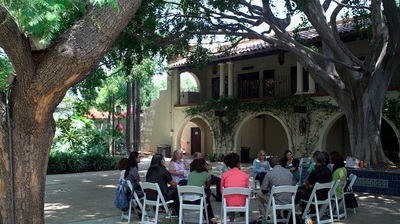 Center for Council offers public Council trainings and workshops, where anyone can sign up to learn how to implement Council in their personal and professional lives. We also provides tailored Council trainings and workshops for private organizations and businesses. ​Council training has been proven to help participants improve their communication skills, empathy, workplace connectedness, and mindfulness, as well as reduces social anxiety when having to speak in group settings. Participants in organizational trainings have also reported that Council practice helped them improve their listening skills and form deep bonds with their fellow co-workers.